Mart Fader, real name Martin Slootweg. Born in the year 1978 in Amsterdam, The Netherlands. DJ since 1994. Seen, been and experienced great moments with many styles and scenes over the years, to explore, to have fun and search and find the finest tracks out there. 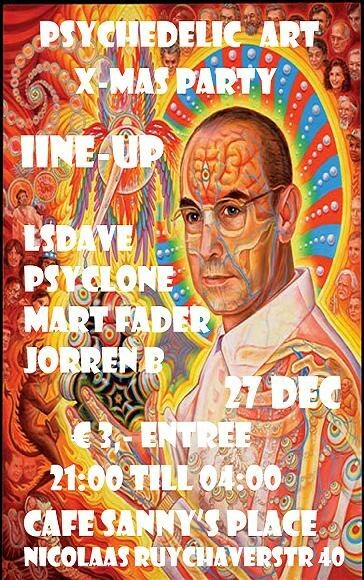 Over the years Mart Fader also had residencies at Starlight (Amsterdam), De Kade (Zaandam), De Richter (Zaandam), A3 (Zaandam) and last but not the least, the famous club 'De Waakzaamheid' located at Koog aan de Zaan, one of the oldest and unfortunately closed clubs in Holland. Psytrance! Mart Fader's current main style. The style that keeps you moving! And of course progressive comes with that, the psy part that is. Currently Mart Fader is resident at the well know Equinox party's and starting up a sequal to the Trip to GOA series; Ship to GOA, located at Club LA on the 'Showboat' in Zaandijk. SUPER!!! knalt keer op keer goeie sets neer!! Lekkere sound! Mooie overgangen! Blijf zo doorgaan!